They never said the 5 Animal Forms of Kung Fu were easy. Fortunately for Eric, Lei Wulong is the perfect training partner. Watch him shadow the Tekken master. 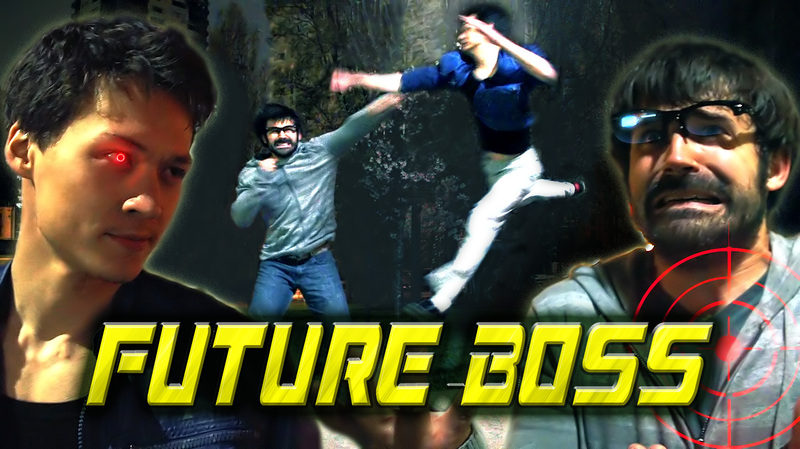 Lorenz Hideyoshi Ruwwe from The Young Masters came out to the West Coast and we teamed up to create Future Boss. 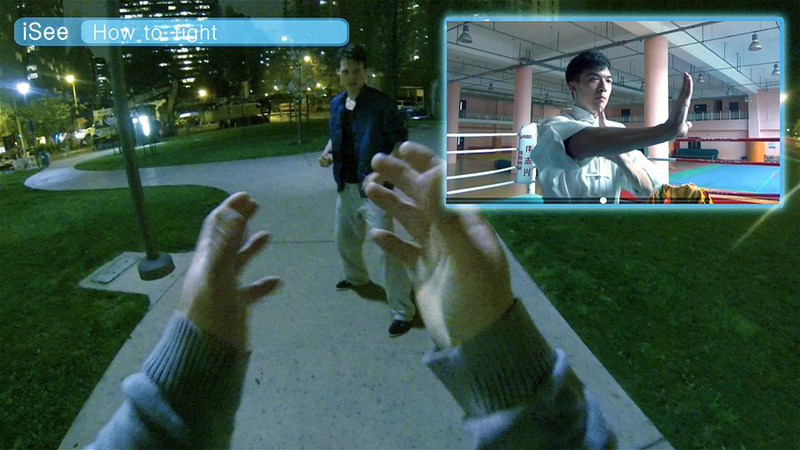 With Shaun Finney behind the camera we decided to do a callback to the style of mid-80s Hong Kong action cinema, where we minimized camera movement, used editing generously, and choreographed pretty linearly. We did takes until we eliminated any mess in our moves and stuck to using the best angle for every move. If a move in the sequence wasn’t just right for the angle, we’d usually just cut to the next angle. While I was at it I came up with a shorthand term for this style – “no mess“. We shot everything at the Embarcadero in San Francisco, where security tends to be notoriously strict but for some reason found no reason to bother us. We shot most of it on the trusty Sony NEX-FS100 and the first-person stuff on the GoPro Hero3 Black. Lorenz says we shot it for 4 nights but I seem to remember it taking 5. Each night was cold and sometimes wet, and Lorenz got sick in the middle of it but pushed through for about 3 hours a night, totaling (by my memory) 15 hours of filming. A Stunt People and Young Masters co-production. 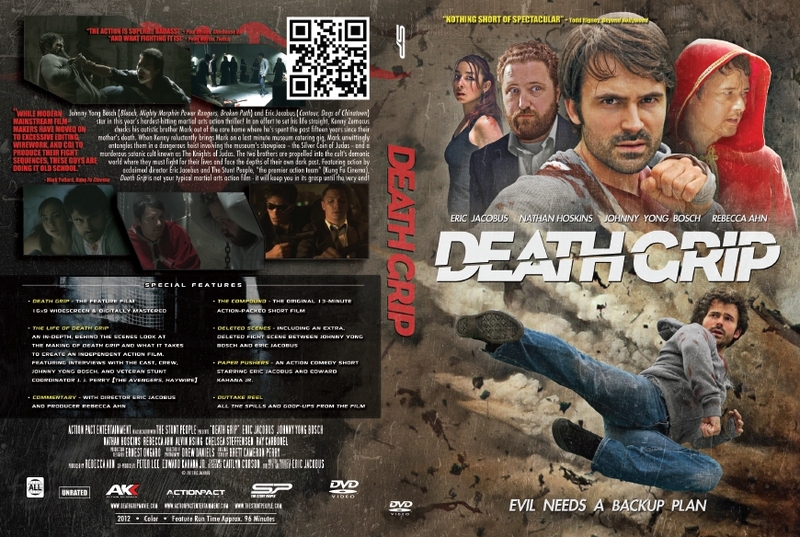 After a 13-hour day syncing sound and putting the finishing touches on the final product, Death Grip is done. Here is the cover art for the DVD and Blu Ray that you can buy in the next few weeks. Stay tuned! Key art by Joe Golling. Now I’m off to the cave to finish behind the scenes. 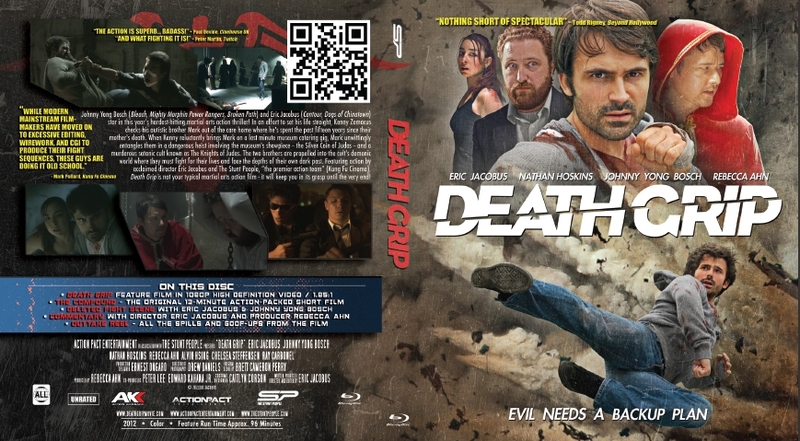 Johnny Yong Bosch’s interview just came in, and the damned making-of video The Life of Death Grip is already two hours long. But first, a full-night’s sleep.